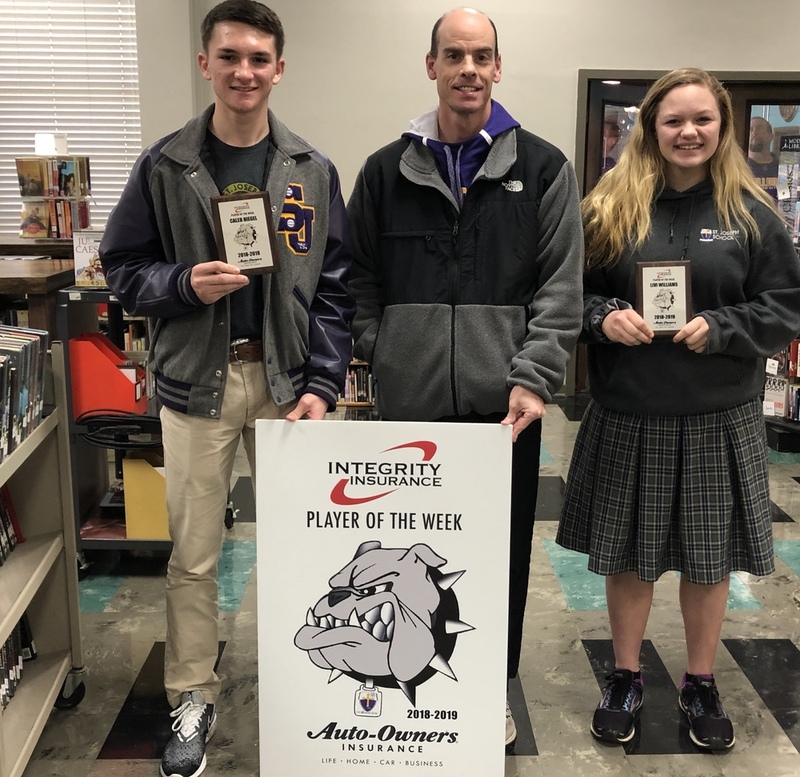 The most recent high school athletes named as Integrity Insurance "Players of the Week" are junior Caleb Hiegel and 8th grader Olivia Williams. Caleb plays basketball, runs cross country, and also plays baseball. Olivia is a member of the Junior Girls basketball team.